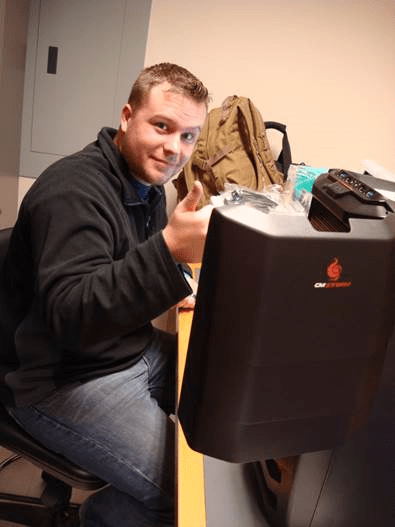 The State Technical College of Missouri worked with NeweggBusiness to provide computer parts and components for first year engineering students assembling custom-built PCs as part of their coursework. Microcomputer Hardware, Operation and Repair (EET140) is a required course for all Associate of Applied Science degree students at State Technical College of Missouri. Generally taken in the first semester of the first year of study, it is a four credit laboratory and lecture course that covers the structure and function of modern PC components. Instructors teach the course primarily with a hands-on approach. The first part of the class consists of lectures about computer parts, and taking apart and reassembling older OEM computers in a lab setting. Students are then asked to research and price out a hypothetical PC build within a $2,000 budget, and draft a term paper to document the process of selecting components and pairing them to their individual needs. 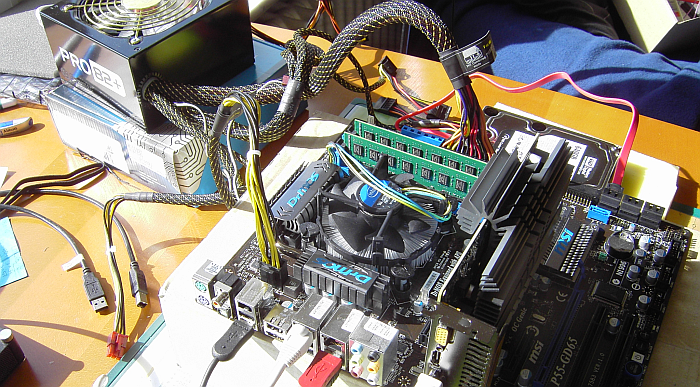 For the final lab project, each student must assemble an actual computer from new OEM components, and load Windows 7 Professional so that it boots properly. This is done over the course of several class periods. For this assembly, the instructor selects and purchases the components for the students to build. Upon completion students are welcome to keep their PC—a nice perk for a first semester student. Instructor Linda Franchini had a budget of $750 per student to procure components for the final PC building project. Her goal was to get the most performance possible at that price point, and needed to learn about and search for components to fit that budget. 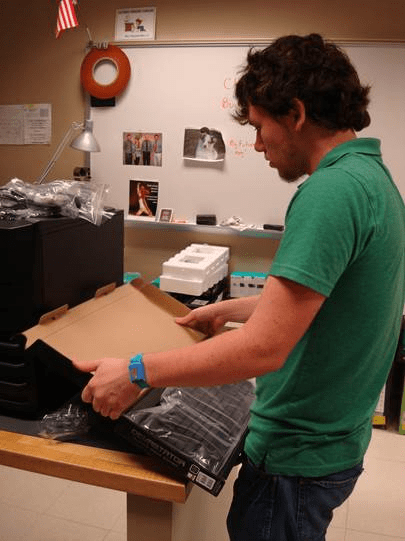 Since students would be building PCs during class time, it was imperative that all the components arrived together and on time. There were 26 students in her class, and she had concerns about logistics—for this reason, she avoided e-commerce procurement for past EET140 final project PC builds, and had opted to buy from local vendors in previous years. Linda was able to find and research components using the NeweggBusiness.com site navigation which filters products by price, brand, and specific PC component features. She drafted a bid for computer parts for 26 system builds, and worked with her NeweggBusiness Account Executive Stacey Jouglet who ensured NeweggBusiness could accommodate the school’s budget and request for inventory. One item in particular—an AMD motherboard—did not have enough stock on hand for the order. Stacey was able to recommend one with similar specifications and price with enough inventory on hand, something that Linda appreciated. “It was great working with Stacey,” Linda says. “She is knowledgeable, not pushy like other salesmen can be, and got us just what we needed.” Stacey provided Linda a quote within an hour of receiving the final bid, and State Technical College of Missouri approved the quote two days later. The college considered opening a Net 30 terms account with NeweggBusiness, but opted to pay by credit card for this order. NeweggBusiness shipped the components from several warehouses to fulfill the order in as timely a manner as possible. Stacey provided tracking numbers and updated Linda via phone and e-mail to advise when the products would be arriving. Upon receiving the parts for the systems builds, Linda realized she ordered extra SATA III cables that were not needed for the assembly. Stacey quickly provided a UPS return shipping label and NeweggBusiness issued a full refund for the cables. Linda then opted to purchase extra case fans for the system builds, which were promptly sent to the school for the students to add to their PCs. The components arrived on time and on budget for the students to complete the final project in the allotted class time. Students assembled PCs which they will use for their academic careers and beyond.